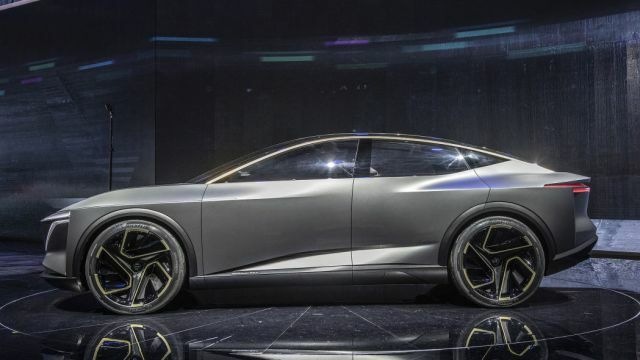 At the Detroit Auto Show, the Nissan Company has been reviled the new futuristic all-electric concept. The upcoming model with the name Nissan IMs EV looks attractive and its body design sits between sedan and crossover models. However, the company has been introducing this model as the elevated sport sedan. 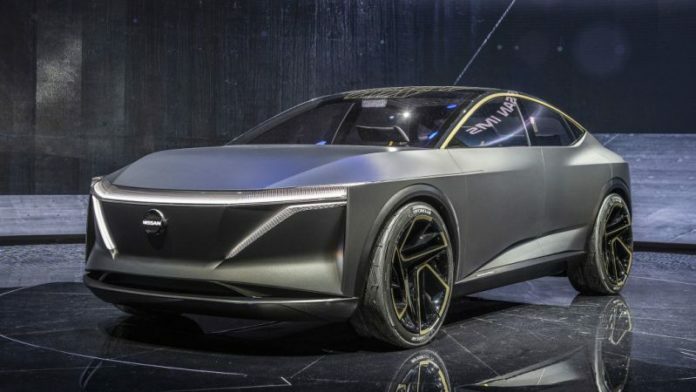 According to the Nissan manufacturer, this car comes with two powerful electric motors that are capable to provide 380 miles of range. The lunar theme on this car looks awesome and the roofline is inspired by the shape of the moon. The Nissan IMs EV Concept looks absolutely astonishing and futuristic. Its design reminds as of some successful models from the Nissan Company. We can clearly see some cues from the QX Inspiration electric crossover. Furthermore, the front end features the V-Motion” grilles, and the absence of a B-pillar allows the doors to open wide and provide easy entry. It also comes with the newest highlights system and holographic taillights to provide better visibility. The lunar theme is installed and the roofline of this model is inspired by the shape of the moon. Furthermore, the gold-colored accents on the roof rails remained as of the ring of moonlight created by an eclipse. Also, this futuristic look is sweetened with the stylish 22-inch wheels that are painted in the same color as the car with some gold lines. Inside the cabin, the Nissan IMs model looks beautiful. The model comes with the latest tech available at the market and seats that are very comfortable and sporty. There are plenty of cameras, sensors that make this car one of the safest on the road. The front of the interior is dominated by the four large screens and all of them will use the latest system by the Nissan. 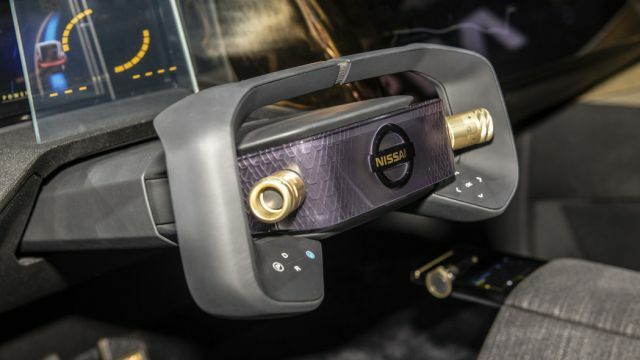 However, this is not all, the concept also comes with Nissan’s “Invisible-to-Visible” technology. This technology will help the driver in every situation. The whole system is very smart and it can monitoring drivers condition and detect facial expressions and stop the car if the driver is sick. Also, Nissan`s IMs offers a fully autonomous driving mode. The Nissan IMs model will be all electric. It will consist of two electric motors, one is located at the front and another at the rear. Both motors will provide the all-wheel-drive setup. Furthermore, the powerful battery of 115-kilowatt-hour is under the floor and the whole system is able to deliver 483 HP and 590 lb-ft of torque. According to the officials, the range of this model is 380 miles. Air suspension is also there to improve the ride. 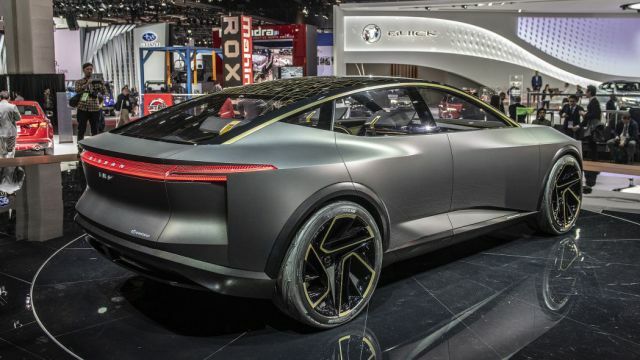 The upcoming Nissan IMs is a concept at this moment and there is no official price. With its futuristic look and plenty of new technology inside, we can assume that this model will not be cheap at all. 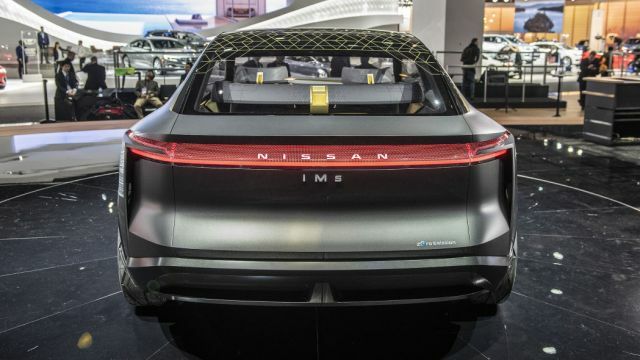 However, from the gossip that we heard, the Nissan Ims Ev will go into the production sometime in 2020. The Nissan also reviled its plan to release a few more all-electric models by the year 2022.